The Pierre-Emerick Aubameyang saga at Borussia Dortmund is over. 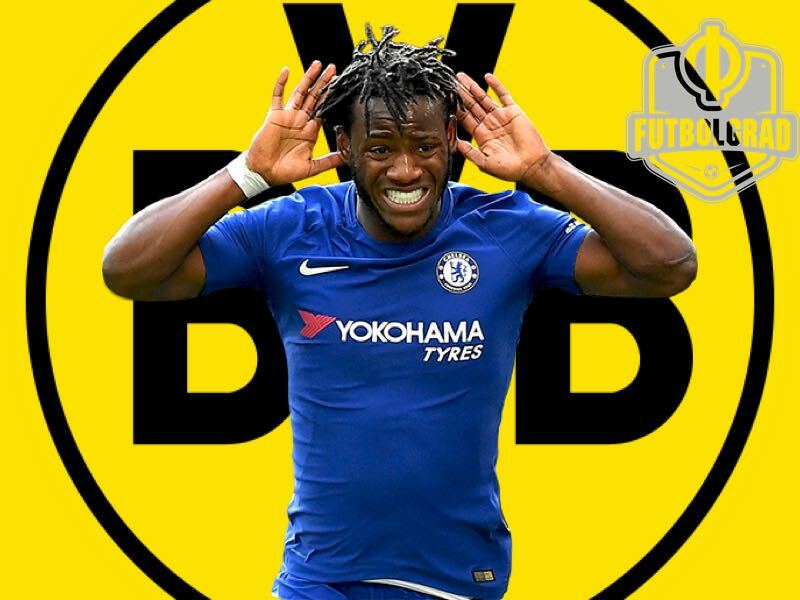 The Gabonese striker completed his medical earlier today in London and with Chelsea signing Olivier Giroud from Arsenal the path was clear for Dortmund to sign Michy Batshuayi on loan as a replacement until the end of the season. Make no mistake it is unlikely that Batshuayi will be a long-term replacement for Aubameyang at BVB. Instead, Dortmund have signed the Belgium striker until the end of the season without an option to make the deal permanent. In fact, Dortmund got Arsenal to pay the €1.5 million that it took Dortmund to loan out the player from Chelsea meaning that the €63 million that Dortmund received for Aubameyang will be there to spend in the summer. There is some sense in what Dortmund have done regarding not bringing in a long-term option now. There is still no clarity of who will be the new head coach at the end of the season. The Yellow and Blacks would of course love to bring in Julian Nagelsmann, whether that is possible seems highly unlikely at the moment, however. Hence, with no clarity on the coaching position, it would not have made sense to bring in an expensive signing on the forward position now. Furthermore, with the title race more or less decided and Dortmund out of the DFB Pokal the only competition to play for is the Europa League. Batshuayi can play in that competition, but given the current form of the squad, it is difficult to see Dortmund winning the trophy this season. Altogether this means that Dortmund just needed a stopgap measure until the end of the season. Someone who could produce enough goals to secure a top-four finish was match fit right now and could fit into Borussia Dortmund’s system. Batshuayi certainly could fit that mould. 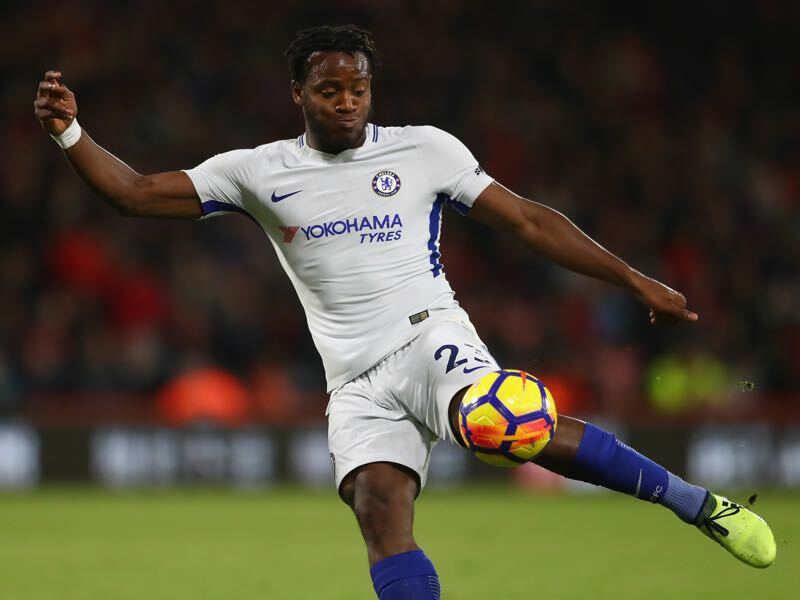 But replacing Aubameyang’s goalscoring rate of 0.83 in all competitions will not be an easy task for Batshuayi, who has scored 0.58 in all competitions for Chelsea this season. Although Chelsea under Antonio Conte play have a more defensive approach and Batshuayi also was never granted the consistent playing time that strikers need to score bucket loads of goals Dortmund in effect will have to assume that the squad will have to compensate for the 0.25 goals per game for the rest of the season that make up the gap between Batshuayi and Aubameyang. Even this season where he only played 353 minutes for Chelsea the forward managed 2 goals and one assist. Sam McGuire from Football Whispers also pointed out in a recent article that Batshuayi xG90 in the English Premier League last season was 1.53, which ranks above Aubameyang’s xG90 for this season which is 1.12. Batshuayi’s xG90 is indeed impressive, and it shows that like Aubameyang the 24-year-old Belgium forward can be at the right place at the right time. This is important given that Dortmund have plenty of creative players, but other than Marco Reus, who is expected to be slowly brought back into the squad mid-February, have no player in the squad who is a proven finisher. Hence, the Yellow and Blacks need someone that can finish off the creative plays instigated by the likes of Jadon Sancho, Christian Pulisic, Shinji Kagawa and Mario Götze—a recent video that made its rounds on Twitter highlighted Aubameyang’s goals with most of them being tap-ins inside the box after a collective attack. Batshuayi can certainly be that man and perhaps a bit more. In 2015-16, which was his most productive season to date, he scored 17 goals and nine assists in 36 Ligue 1 games for Olympique Marseille. The nine assists are perhaps the key feature of this statistic. Because unlike Aubameyang Batshuayi is not just a finisher, but also a contributor, and if everything goes well he could lent more depth to Dortmund’s attack. That is of course if his numbers from two years ago translate to Dortmund and the Bundesliga today. With this in mind, it is understandable why Dortmund have not gone all in and bought the forward now. Instead, Batshuayi can see himself being part of an extended trial at Dortmund at which end he will be going into a pool of possible summer signings depending on how he will perform. Dortmund are expected to spend big on talented young stars like Jann-Fiete Arp and Julian Brandt within the Bundesliga and more talented players from abroad to bring about a culture change, because there is no doubt that Dortmund will spend big in the summer on the squad to bring in at least one forward and also make adjustments to a side that although talented lacks the form of character necessary to win championships. Until then Batshuayi is expected to get his career on track and fire Dortmund back into the top four. Quincy Promes – Decision Day is Here!